Danny Vanore has been giving away excess Christmas trees to families in need since the 1970s, but the gesture has taken off with Facebook. Pictured are the remaining trees as of Thursday afternoon. There are only a few days left until Christmas, and one South Philly tree vendor is trying to add some joy to the remaining holiday time for families in need. 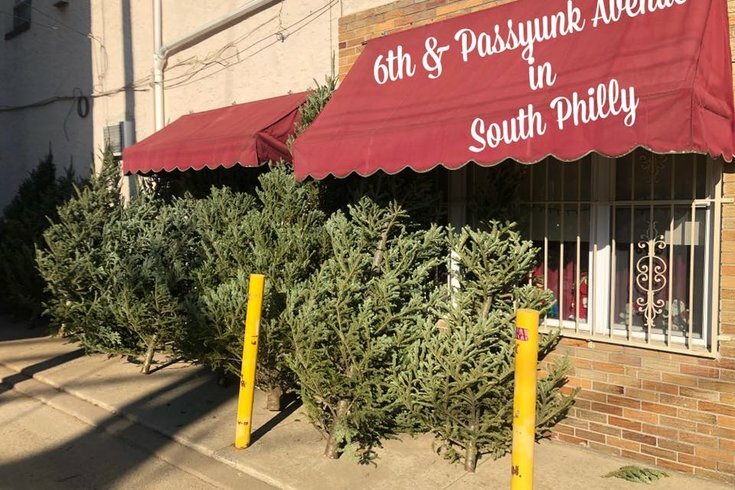 Danny's Christmas Trees, located at 808 Passyunk Ave., was set to close up shop for the season Wednesday. But late that night, owner Danny Vanore took to Facebook to offer up the dozen or so trees he had remaining. "If you know of a family that is having a rough time of it financially this year and in need of a Christmas tree, please send them to my location," Vanore wrote. The gesture comes after reports said the price of Christmas trees would likely go up 10 percent this year. The average Christmas tree sold for $74.70 last year, according to the National Christmas Tree Association. Vanore told PhillyVoice that as of Thursday afternoon, there were six trees left. He's been giving away excess trees for decades, but the practice has taken off since the advent of social media. "I’ve done this since the late 70s but with Facebook it blows up," Vanore told PhillyVoice in a Facebook message. "It’s an enjoyable thing to do instead of destroying or locking up the trees until after the 25th." His original post about the giveaway had more than 250 shares as of Thursday afternoon. Vanore said the remaining trees were leaning up against the wall at his spot at the intersection where Sixth Street, Queen Street and Passyunk Avenue meet. He assumed they'd be gone by the end of the day. He asked that anyone who takes a tree keep the area "nice and neat" and not leave any laying around.